Church members share ways the hymns of Zion have blessed their lives. There was a time in my life when I strayed far from the principles I knew to be true. Because of this, I felt terribly unhappy. Although I believed that the Atonement worked for other people, in my mind I was too far gone for it to apply to me. I thought I wasn’t worth saving. One Sunday morning I heard the bells of a nearby Christian church sounding the hymn “Did You Think to Pray?” (Hymns, no. 140). The music struck me, and for the first time in many months, I felt the Spirit. I cried as I realized Heavenly Father was using this hymn to let me feel His love and know that He would help me. The repentance process was not easy, and many times I felt discouraged. But the feelings I felt that Sunday morning stayed with me, and after a time I returned to full activity and received my endowment in the Dallas Texas Temple. Now when I hear that hymn, I am reminded of that tender moment when the One I thought had forgotten me showed His love in a way He knew I would receive it. My husband and I wanted to help our family feel the Spirit more in our family scripture study. We had heard Elder Gene R. Cook, then of the Seventy, suggest singing a hymn before family scripture study, so we decided to implement this counsel. Although our teenage sons were somewhat resistant to the idea, they agreed to give it a try. The following day I played hymns on our stereo about 30 minutes before our scheduled reading time. What happened next changed everything for us. This music had touched our then 13-year-old son (who had been the most resistant to our initial proposal) to the extent that he wanted to sing all the verses of the hymn, and he even wanted to sing more than one hymn! This same son now relies on the hymns when he is discouraged or tempted. We use the hymns not only for family scripture study but also at family home evening and on Sundays. My 86-year-old mother’s health had been declining for several months, and I feared that she would not be with us much longer. My husband and I had planned to travel to Lille, which was 80 miles (130 km) away, for stake conference, but I worried about leaving my sister alone to care for our mother. I pleaded to Heavenly Father that all would be well while we were gone. Immediately the lyrics “Peace, be still” (“Master, the Tempest Is Raging,” Hymns, no. 105) came to mind, and my fears diminished. We left for the conference feeling calm and reassured that the Lord had heard my prayer and was watching over my mother. Everything did go well while we were gone. Some time later, my sister called to ask if my husband, Yves, could come help lift my mother into bed. Shortly after he arrived at my sister’s home, my mother passed away. Not wanting to relay this news over the phone, Yves called me and said only that my sister was panicked. He suggested I gather some personal belongings because he would be home soon to pick me up. I began packing my suitcase expecting that I might stay with my sister for a while to help care for our mother. As I began, I felt guided by the Spirit that packing was no longer necessary. I knew that my mother had died. But I also felt peace, just like I had before leaving for stake conference. Yves arrived home, and he struggled to explain what had happened. To ease his burden, I told him I already knew that Mother was gone. Many years ago I was planning to spend Christmas Eve with my family, and I was apprehensive about it. I had recently joined the Church, and my family was critical of my new religion. The situation worsened when I gave my mother a ride to my grandmother’s house. My mother had been drinking heavily, and I felt tempted to snap at her. The excitement I usually felt during the holiday season was replaced with despair. Silently, I prayed for help. I tuned the car radio to the popular music station I usually listened to, hoping that would lift my spirits. But then I felt impressed to turn off the radio and sing Christmas hymns. I did so, and my mother﻿—though surprised﻿—seemed calmer. She even joined in singing some of the carols. My mood changed immediately, and I was reminded of the true meaning of Christmas. When I thought of how the Savior unselfishly gave His life for us, my own problems seemed small and manageable. I realized that I had many blessings in my life and many reasons to rejoice. I felt assured that the Holy Ghost was with me, and I was confident that I could respond peacefully to any criticism I received about the Church. Singing didn’t take away my problems, but it enabled me to approach my troubles with a positive attitude﻿—and that made all the difference. In 1988 I was struggling in my business. After I consulted with my stake president, my wife and I decided to sell the business and find other work. I followed numerous leads in pursuit of employment, but each one left my wife and me frustrated, heartbroken, and without a steady income. After a year our funds were running low, and I felt weighed down by a burden that seemed unbearable. We had a son on a mission and six more children at home, and I felt that I was failing them. Instantly my burden seemed lifted, and I realized that Heavenly Father knew my situation. Although we struggled financially for several years, I felt comfort knowing that He would guide our decisions if we sought to do His will. We moved to a new town and eventually acquired a new business. With the help of others, our family was able to buy a home and make the business successful. Even though that financial challenge is now gone, I continue trying to listen when hymns come to mind. I have learned that Heavenly Father often answers my prayers through sacred music. Years ago my mother was killed in a car accident involving a drunk driver. In shock I flew to my parents’ home and helped plan the funeral with my siblings and injured father. Soon after returning home I was called to serve as the Primary music leader. While I prepared, my emotions seemed blocked, and I began to doubt my abilities. “A Primary music leader needs to be enthusiastic and cheerful,” I thought to myself. I felt only sorrow. I wanted to encourage the children, but I felt I would let them down. My heart ached with grief. I wondered if I would ever be happy again﻿—let alone want to sing. At that moment I knew that I could fulfill any calling and that I could feel joy, even though I missed my mother. And because I knew that my Savior carried my burden, I could sing! 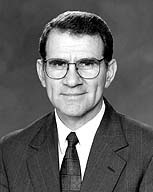 Elder Jay E. Jensen of the Seventy, “The Nourishing Power of Hymns,” Liahona and Ensign, May 2007, 11, 12.